Several factors can make you more likely to develop a secondary cancer. Some are under your control. Others aren't. It's important for you to discuss your risks with your doctor and find out what you can do to lower your odds of developing cancer again. 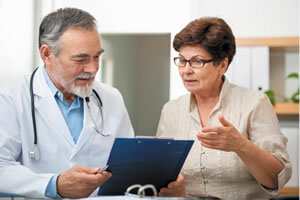 Equally important, discuss how often you need to get screened, so you can catch any new cancers early. Childhood cancer. If you developed cancer before age 15, you'll need to stay on top of your health in the years to come. Some childhood tumors are caused by inherited syndromes that contribute to a lifelong increased risk for cancer. For example, Li-Fraumeni syndrome can lead to sarcoma, leukemia, and brain and breast cancers. The treatments you received to combat childhood cancer can also make you more vulnerable to future malignancies. Family history. When you have multiple close relatives who all developed a particular cancer, that's a very strong indication that your family carries a genetic susceptibility. Though you can't change your genes, you can get tested for genetic changes that are associated with increased cancer risk and—if you are at higher risk—be screened for those cancers and take other preventive measures. Cancer treatment. Radiation, chemotherapy, and other cancer therapies, while necessary to cure your disease, can also trigger cellular changes that make you more vulnerable to a secondary cancer. Your doctor will make every possible effort to structure your initial treatment—for example, fine-tuning the drug and dose—to destroy the cancer, while minimizing your future cancer risks. Age. The older you are, the higher your cancer risk. Each passing year brings more chronic conditions, more exposure to environmental factors that increase your risk, and a lower ability of cells to repair damage. Eat a nutritious diet that's heavy in cancer-fighting foods, like broccoli and other cruciferous vegetables, dark leafy greens, beans and peas, berries, cherries, tomatoes, and nuts. Exercise for at least 30 minutes a day, five days a week. Keep your body mass index (BMI) within a healthy range. If you smoke, ask your doctor for help quitting. Also avoid secondhand smoke. Limit alcohol intake to no more than one 6-ounce glass of wine (or the equivalent) a day for women and one or two glasses for men. Wear UVA/UVB–protective sunscreen whenever you go outside. To learn more about cancer and its effects on the mind and body, buy Life After Cancer, a Special Health Report from Harvard Medical School.